Very fed up with TTS (long story)..anyway, just wanna know where do you guys go to service / repair your Proton cars in Singapore? I specifically want Singapore workshops for those ocasional urgent issues whereby its too troublesome to tow to JB. Proton using similar Mitsubishi engine. I use to drive Proton. Most workshop should be able to help unless your problem is special. That is the good old days. Since 2004, Proton has been using Campro engine which it develops. To TS, sadly there is no workshop which specializes in Proton, a problem which I faced when I drove a Proton Exora. That said any Msian mechanics in any workshop should be familiar with Proton. Where do u service or repair ur Exora in SG? I have sold my Exora about 2 years ago. I used to service it at Prowerkz Garage. U can give them a call. Edited by Coolpica, 09 April 2015 - 12:06 PM. 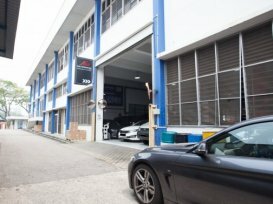 any perodua myvi specialist workshop in Singapore? Go to Malaysia, there are a lot. 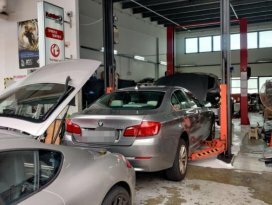 Foreign cars can be a PAIN, I personally attest to this fact unless you find the right guys that really know what they are doing and can actually offer you an affordable price.